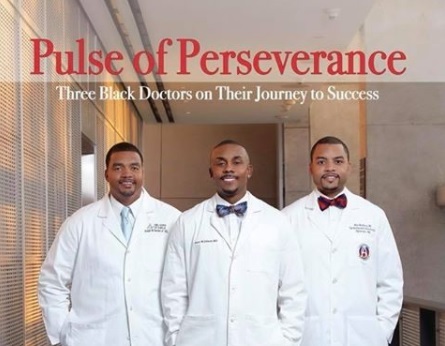 On the surface, Pulse of Perseverance is the story of three young men who, despite nearly insurmountable odds—odds which would have crushed the dreams of ordinary men—achieved their goal of becoming board-certified members in one of the most difficult, most respected professions: that of medical doctor. But just beneath the surface is another story—of what happens when drugs are allowed to flood vulnerable, disenfranchised communities, and the loss, chaos, and disintegration they leave in their wake. It’s the story of the difference a well-educated, committed father can make in the lives of his gifted sons, who, to me, emerges as a hero in this book. This is the story of three young men who, by the power, mercy, and grace of God—which all three openly acknowledge—overcame poverty, indifferent schools, and the insidious pull of the streets to become medical doctors. It is the story of perseverance. Pierre Johnson of Chicago, Maxime Madhere of New York and Washington, D.C., and Joseph Semien Jr. of Jefferson Parish, Louisiana, each has gripping personal stories, and so the book is told in first person, first from Johnson’s, then Madhere’s, and then Semien’s perspectives. In many ways, Johnson’s is the most painful to read. A bright child whose potential was recognized early on (a family friend called him Mr. President and insisted he would become president one day), his parents were both addicted to drugs. His own grandparents evicted his family from their home. There was instability, to say the least. But young Pierre, a part of whose story was told in a New York Times piece, excelled in suburban schools while staying with his aunt and uncle. He graduated from an urban high school, however, intending to go to college for pre-med having had no exposure to the periodic table. He was the school salutatorian. One thing I love about this book is the authors’ raw transparency. Each struggles with depression as they encounter setback and failure. Each wrestles with self-doubt. When Johnson failed a critical exam, he turned to God, of course, and also powerful sayings from his fraternity, Omega Psi Phi, to bolster himself. “The difficult I do immediately; the impossible takes but a second longer,” became his rallying cry, the book says. He grew up without his mother in the home—his parents’ marriage ended because of her mental illness—although he and his mother remained close. But Madhere’s father illustrates the power of having a strong, capable, thoughtful man in a child’s life. When he and his dad tour an elite private school in the nation’s capital, which is eyeing young Madhere as a prospective student, Mr. Madhere instantly recognizes the explicit racism in how the conversation revolves around sports. If you’ve ever wondered what a strong father looks like, look no further than Madhere’s dad. Semien’s story differs from the other two in that he was involved in illegal activity as a youngster. Again—a result of drugs deliberately allowed to flood his community, which he remembers as stable and close-knit even if low income—before the drugs came. Semien also stuttered and struggled with baffling uncontrolled anger as a child. Had he attended a well-funded school that offered play therapy or art therapy to help him process his embarrassment and other feelings he couldn’t express, I wonder if he would have been as vulnerable to the lure of the streets. I don’t think it’s insignificant that he married a speech pathology major. 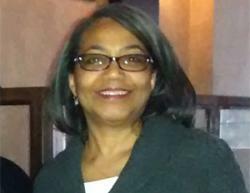 “We got to the point where we could write the exam questions,” Semien told me. Later in his section, he says, “standardized tests were no longer daunting.” Imagine studying so hard that you could say that. Don’t miss the compelling story of these three doctors (not to be confused with the three doctors who wrote The Pact). 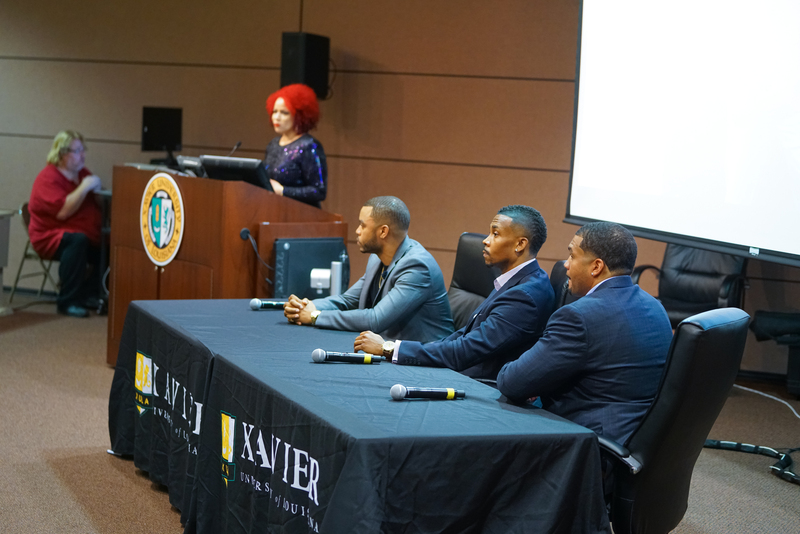 They met at Xavier University, the historically black college in Louisiana that sends more black graduates to medical school than any other school. Each writes of the role Xavier played in their success, but there’s the overarching sense that this is what sheer determination looks like—when you won’t take no for an answer. Read Pulse of Perseverance today, and give copies as gifts. This book is life-changing.